Papers: 1889-1892. 11 letters (typed copies). Papers: 1862-1898. 14 volumes and 5 boxes. 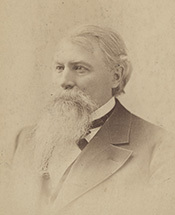 Correspondence and letter books concerning state and national elections and political issues, railroad land grants, and shipping interests; material from his service as Secretary of Agriculture.